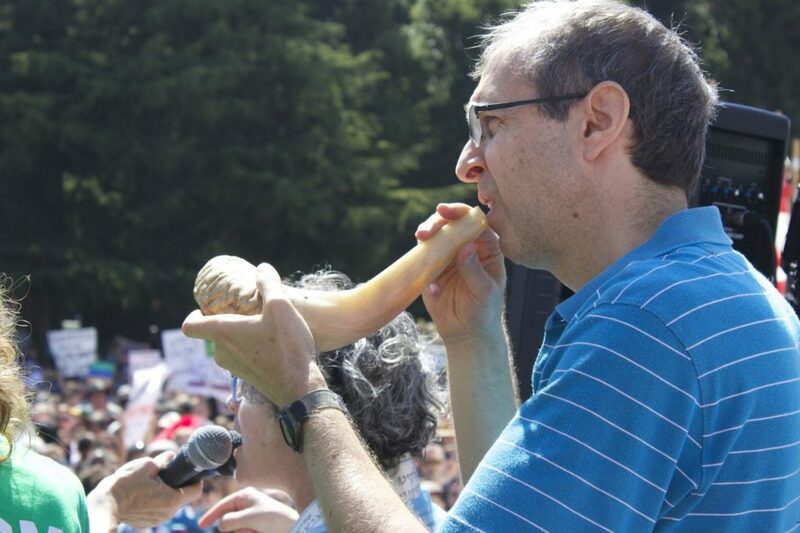 On August 28, Kehilla member Rabbi Julie Saxe-Taller addressed Berkeley’s “Rally Against Hate,” while our Executive Director, Michael Saxe-Taller, blew the shofar. Julie, Michael and their son, Sam, then walked at the front of the march alongside Ben Stern, a 95 year old Holocaust survivor. Kehilla also had a strong presence at the interfaith march, a different event that was held that day. Our music director, Hazzan Shulamit Wise-Fairman, led an opening prayer before the march began and co-led an interfaith bread-breaking ceremony that was held during the march. 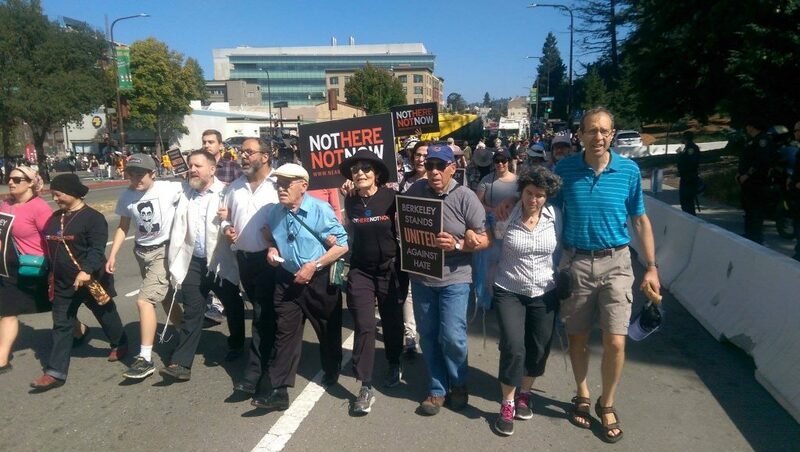 On August 27, immediately following Chai Shabbat, Kehilla hosted events for the wider community in response to the rallies. 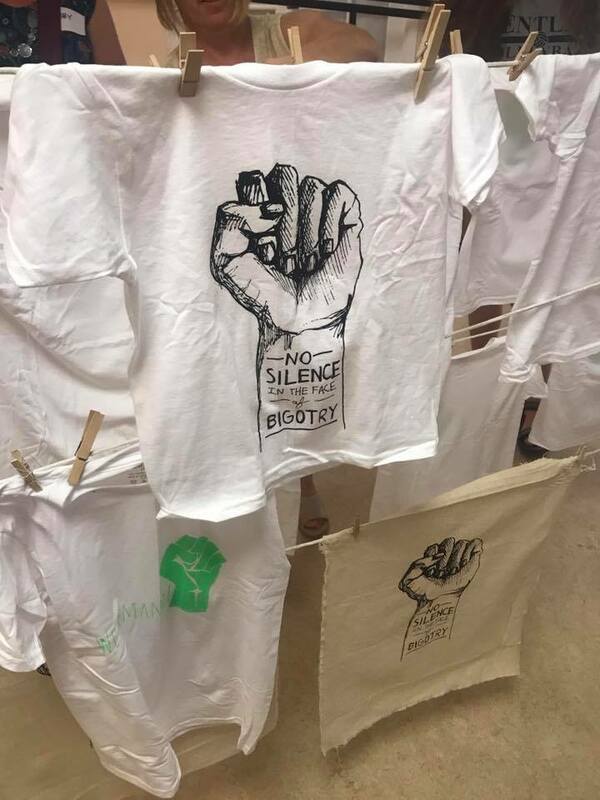 In the sanctuary, nearly 100 people gathered for a nonviolence training (led by PEACE Out Loud & Anti Police-Terror Project) in preparation for the march. In the social hall, sixty-three families gathered for a children’s art build and teach-in about fighting white supremacy (led by Abundant Beginnings, Our Family Coalition and Showing Up for Racial Justice). Kehilla was also the target of a small act of vandalism, which seemed to be connected to the rally. The event led to some media coverage, which gave us an opportunity to highlight Kehilla’s commitment to social justice.